This module provides an introduction to the Republic of South Africa, an important country on the continent of Africa because of its political, social, and economic influence. Although the country still faces challenges such as continuing racism, the HIV/AIDS epidemic, and poverty, many countries in Africa (even throughout the world) look to South Africa for leadership and as an example of successful conflict resolution. South Africa experienced a remarkable, peaceful transfer of power in 1994 when all citizens could participate in fully democratic elections. This came after a long struggle against an oppressive white government. Since then, the government and the dominant political party have worked to build a “Rainbow Nation,” a nation where people divided in the past by their race can live and work together. These issues and the history of South Africa are explored in the module. Activity One introduces South Africa through an overview of its geography. Activity Two addresses South Africa’s history. This activity is designed to be a resource of basic knowledge of South Africa’s history as well as a lesson plan. Therefore, teachers are free to use the material as best suits their needs. A teacher may use the activity materials for one in-class presentation, a number of sessions focused on different periods of history, and/or assign the entire text as supplemental reading. Activity Three and Four focus in more detail on two aspects of building a “Rainbow Nation.” Activity Three looks at the renaming of places in South Africa, a logistical aspect of overcoming physical segregation with municipal restructuring, and a political issue regarding historical memory and the legacies of colonialism and apartheid. Activity Four looks at South African sport, an important part of South African culture that can help us understand both the country’s past and present. The learning activities are designed to be used sequentially; however, each may also be engaged on its own. Each activity contains suggested classroom and individual learning exercises and may take three to four 50 minute class periods to present. Africa is not a country! Sampling of North American and European perspectives on Africa, whether in a K-12 classroom, college lecture hall, civic or church group, almost always reveals the notion that Africa is socially, culturally, politically, and economical homogenous—Africa is perceived as a country, and not as a richly diverse continent comprised of 54 countries and a myriad of social structures, cultural traditions, and economic practices. Unfortunately, most text-books used in middle and high school social studies classrooms reinforce the perspective of African homogeneity and uniformity. Textbooks usually treat Africa as entity or provide chapters on two or three regions of Sub-Saharan Africa. This is in striking contrast to the treatment of Europe and Asia in the same text-books where it is the norm to have separate chapters on selected countries (e.g. China, Japan, India, Britain, France, Germany, Italy, etc). Exploring Africa provides an essential alternative to the perspective of African homogeneity by accentuating the reality of Africa’s political, social, cultural and economic diversity through the detailed study of South Africa and nine other important African countries. Recognize and celebrate Africa’s rich diversity. An in-depth study of South Africa and country perspectives from all regions of Africa facilitates knowledge and understanding of the rich diversity of African political, economic, cultural and social realities, traditions and practices. Countries are important: In spite of the growing political importance of globalization, the nation-state remains the primary and most important political entity in the early twenty-first century geo-political world. This is true in Africa as it is in Europe, Asia, and the Americas. 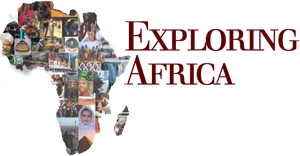 Through the comparative study of South Africa and the nine other selected African countries students will gain an understanding and appreciation for the similarities and difference among African nation-states and between African states, their own country, and countries in other regions of the world. Throughout this module, numerous photographs will be used. It is important to remember that these photographs do not fully represent the “way things are” in South Africa. For example, photographs of different houses in South Africa represent actual houses, but cannot be seen as the only type of housing found across the entire country. Such photographs are just one among many possible representations. Photos are used in this module to help illustrate the geography and history of South Africa, and social, political and economic activities and practices of the country today. They do not represent a uniform way in which South Africans engage in these activities. How has the physical geography of South Africa influenced the country’s settlement patterns, economic activities, and international relations? What factors have determined the course of South African history? What groups of people have settled in South Africa? How and why? What does that tell you about how South Africa has been linked to the rest of the world? How is South Africa similar to and different from other countries in Africa that you have learned about? How is South Africa similar to and different from the United States? What legacies of colonialism and apartheid does South Africa face today? How are they dealing with them? What does it mean to be a “Rainbow Nation”? How is South Africa working towards that and what challenges do they face in creating such a nation? What role has sport played in South African society and history? A clearer understanding of the geography, history, and cultures of South Africa. A greater knowledge of the forces and actors that shaped South African history and still influence South Africa’s politics, economics, and internal and global relationships today. An awareness of how and why places are named and renamed in South Africa. A familiarity with South African sports and their role in society and history.